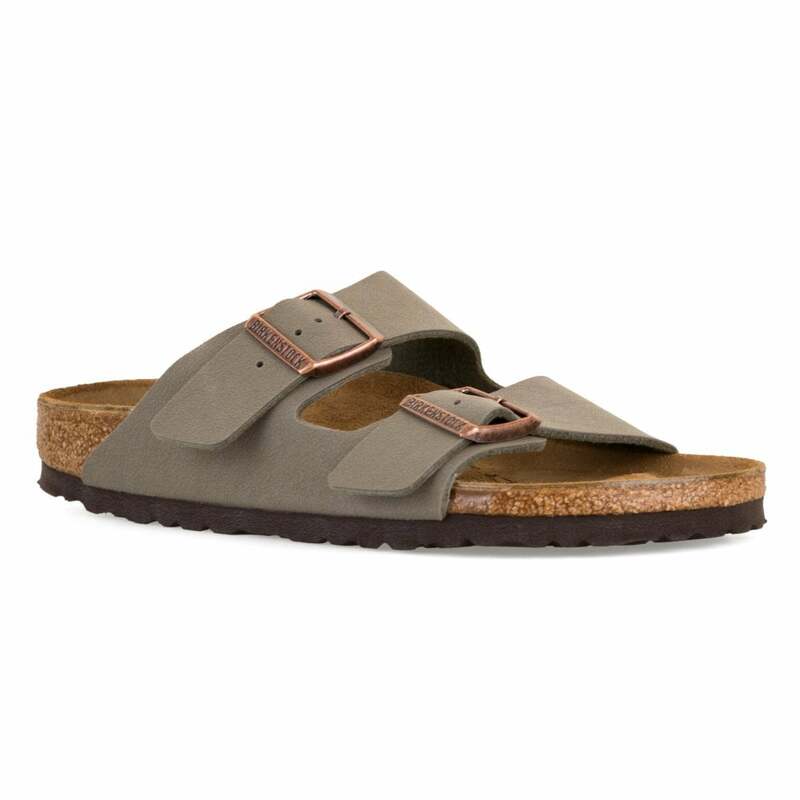 These double Buckle fastened Birkenstock Arizona BF Nubuck Sandals have a synthetic Birko-Flor leather alternative & nubuck upper and are stone in colour. They have a fitted leather insole and a natural cork midsole. Birkenstock branding appears impressed onto the upper as well as on the buckle. The EVA sole has a deep tread for added grip.